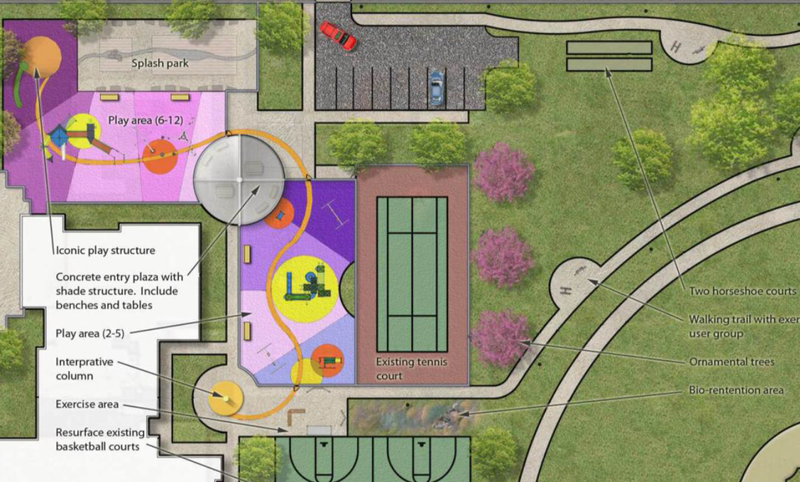 The District's Department of Parks and Recreation (DPR) has released its plan for improvements to the outdoor play areas of the Kennedy Recreation Center at 1401 7th Street, NW, as part of its Play DC program. 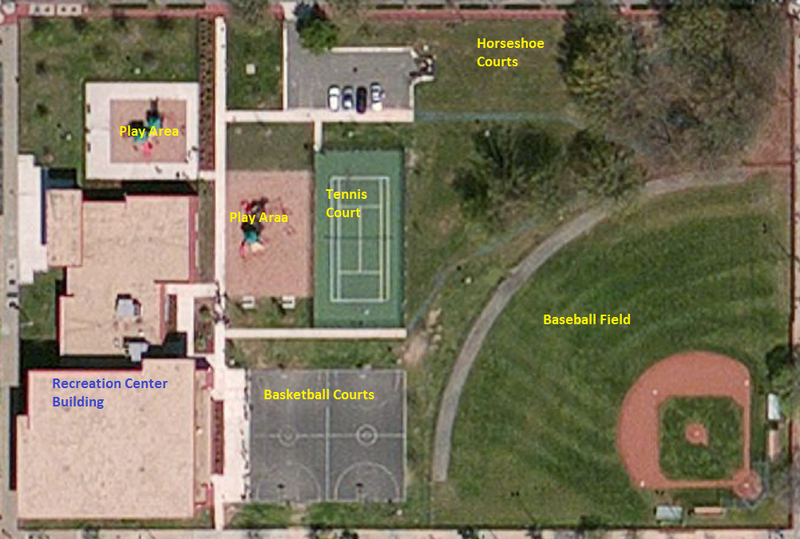 The Kennedy play areas currently include a baseball field, basketball courts, tennis court, and play equipment. 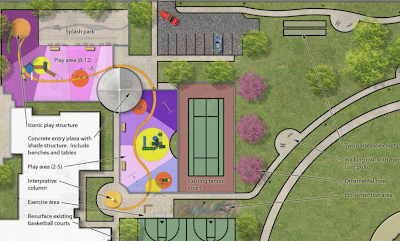 The concept for the play space at Kennedy includes, according to DPR, "a new splash park near the corner of 7th and P, which will engage the corner of the site and create a focal point for the community. The existing tennis court will remain and the basketball courts will receive a much-needed renovation. A walking trail will be lined with fitness equipment, and new seating and a shade structure will be provided for the community. The sculptural play features will be complemented by interpretive signage and artistic details which will illustrate the amazing history of the site." New trees will also be planted. According to an email from ANC 6E02 Commissioner Kevin Chapple, the District is in the process of securing firms to finalize the drawings, and there will be a pre-construction community meeting about the site in the spring to discuss the final design and construction schedule. Glad to hear about the splash park. That should be really popular with little kids in the area, and make that corner much more attractive! QAQAPOKER MENYEDIAKAN BONUS DEPOSIT PERDANA LOH !